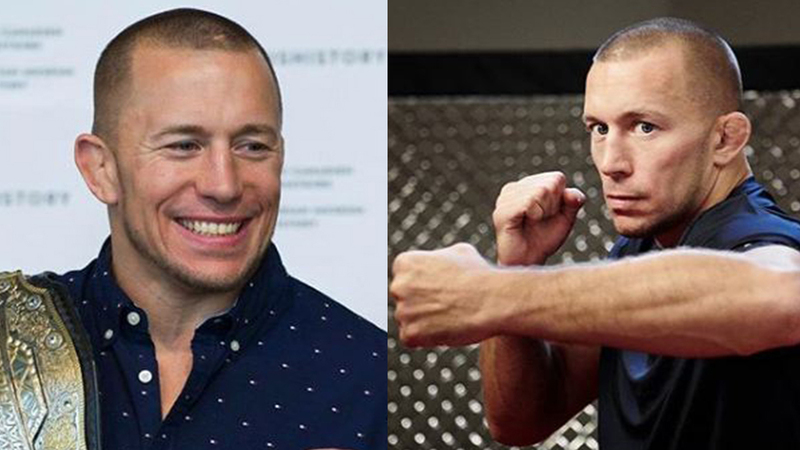 Home MMA News UFC Legend Georges St-Pierre Exited USADA Testing Pool Upon Retirement! Retired UFC Legend Georges St-Pierre Removed From USADA Drug-Testing Program! Georges St-Pierre (26-2 MMA, 20-2 UFC) is one of the greatest fighters in the history of mixed martial arts, and the man who defended UFC Welterweight title nine times in a row. He is also the only fighter who defeated the former 170-pound king Matt Hughes two times in the Ultimate Fighting Championship. Following his tight split decision win over Johny Hendricks at UFC 167 on November 16, 2013, St-Pierre announced he needed a break from MMA. Four years later, Georges returned to meet the all-time best British MMA fighter Michael Bisping at UFC 217, on November 4, 2017, in a 185-pound title fight. St-Pierre choked out Bisping in the third round, and he was promoted to the UFC Middleweight champion. Yet, “GSP” vacated the title only 34 days later, citing his problems with “ulcerative colitis”. Georges St-Pierre was trying to set the fight versus the current UFC Lightweight champion Khabib Nurmagomedov (27-0 MMA, 11-0 UFC) but negotiations failed because Dana White wasn’t interested in that match. Georges St-Pierre then shocked the MMA world two weeks ago, when he officially announced the end of his career at the press conference inside the Bell Centre in Montreal, Quebec, Canada. Yet, St-Pierre left the door for the potential UFC return open, in the case Dana White comes up with an interesting offer you can’t refuse. But, according to ESPN, “GSP” went one step further. Jeff Novitzky, UFC Vice President of Athlete Health and Performance, said that French-Canadian superstar handed his written retirement notice to USADA. It means St-Piere will be removed from the United States Anti-Doping Agency drug-testing pool. If Georges St-Pierre wants to fight in the UFC again, he must re-enter USADA testing pool and submit to six months of random tests before the comeback match.